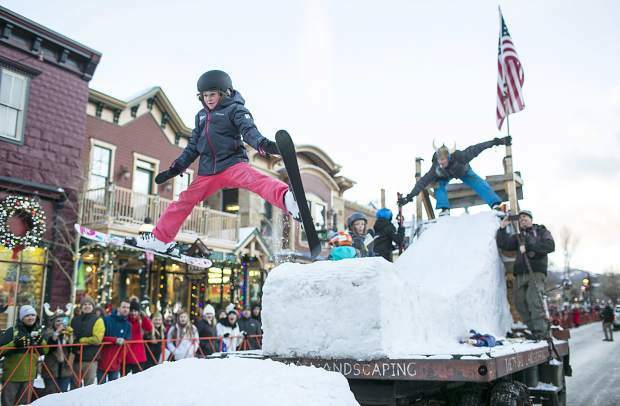 Kids ski off a jump on a rolling Thetford Landscape float during the Ullr Fest Parade Thursday, Jan. 11, on Main Street in Breckenridge. 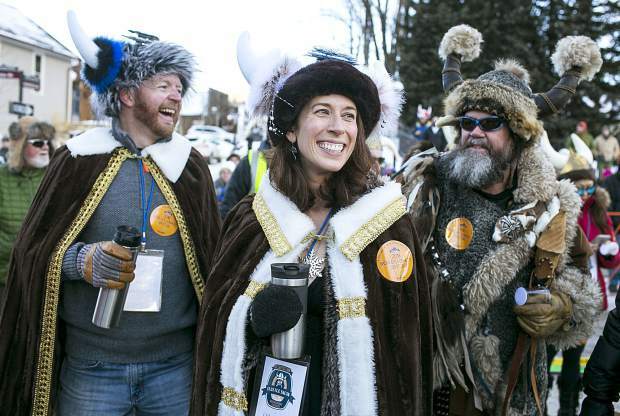 Ullr King Joe Howdyshell, far left, and Ullr Queen Erin Gigliello, center, share laugh with Ullr, far right, Thursday, Jan. 11, on Main Street in Breckenridge. 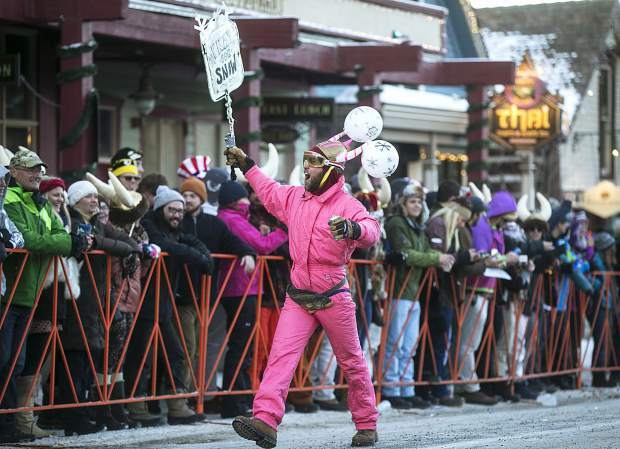 Ullr waves to the crowd during the Ullr Fest Parade Thursday, Jan. 11, on Main Street in Breckenridge. 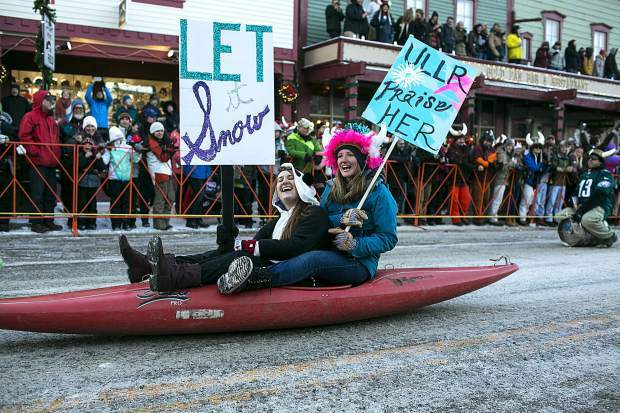 Scenes from the Ullr Fest Parade Thursday, Jan. 11, on Main Street in Breckenridge. 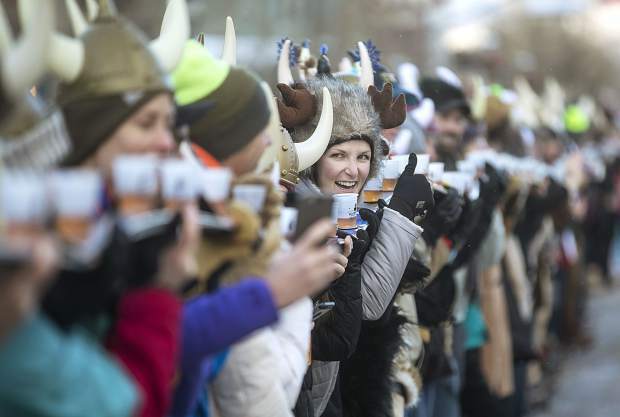 Participants take a ski shot during the Ullr Fest Thursday, Jan. 11, on Main Street in Breckenridge. 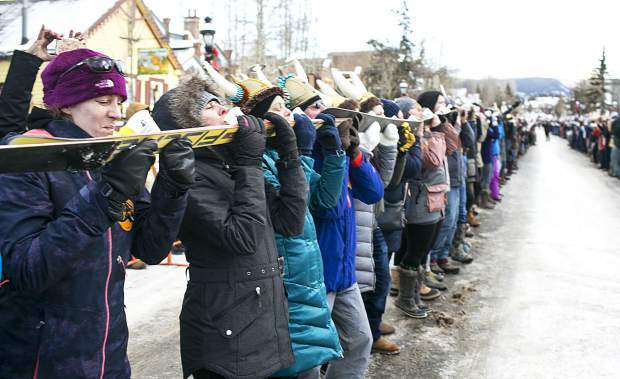 The world's largest ski shot record was broken with 1266 people with 422 skis at 2128.3 feet in length. 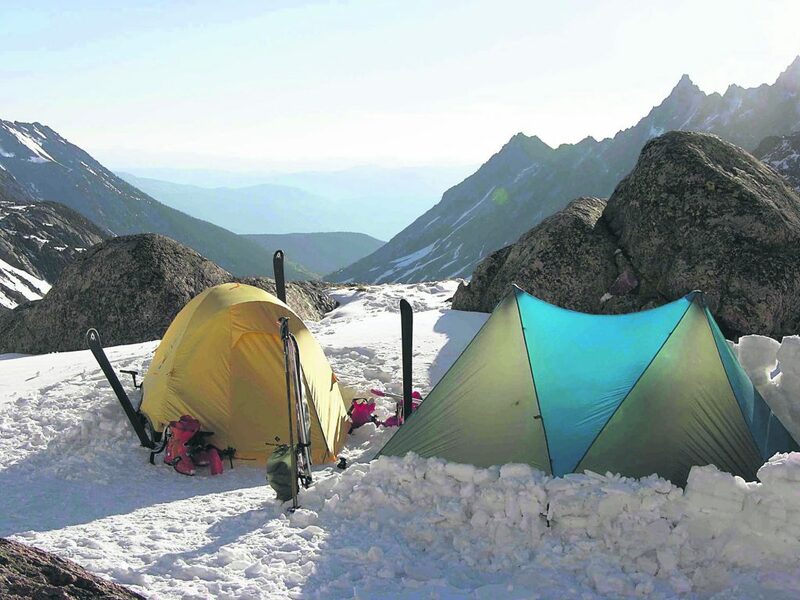 Colorado Ski and Snowboard Hall of Famer C.J. 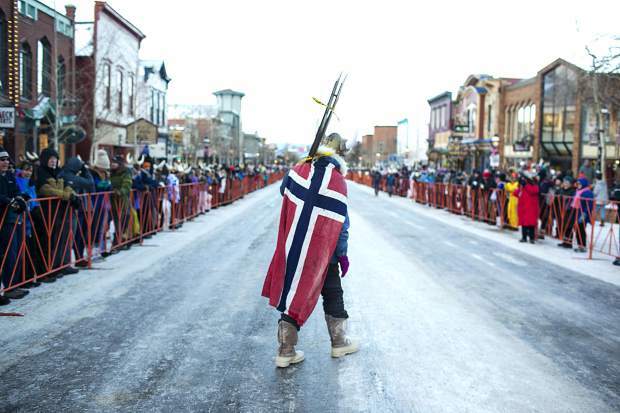 Mueller, who was the first man to ski at 130 mph, walks along the Ullr Fest Parade Thursday, Jan. 11, on Main Street in Breckenridge. 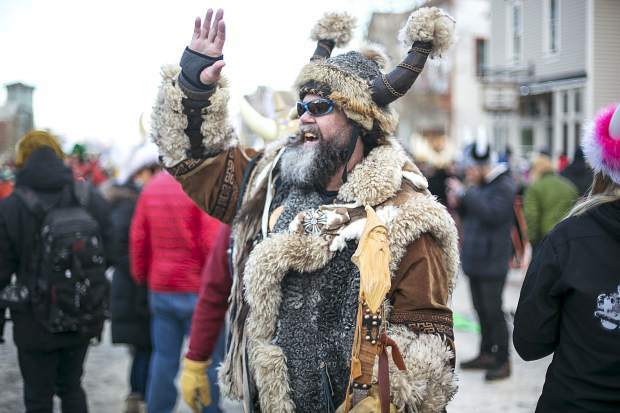 In its 56th year on Thursday, the Ullr Fest was celebrated by at least 12,000 snow-worshippers on Main Street in Breckenridge. The four-day celebration paying homage to Ullr, the Norse god of snow, included unique floats for the parade, polar ice plunge, a massive bonfire and Ullr himself. 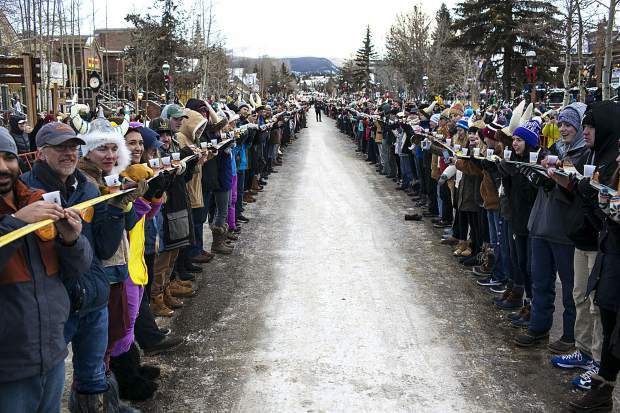 The world’s longest ski shot record was broken with 1,266 people using 422 skis spanning 2,128.3 feet. 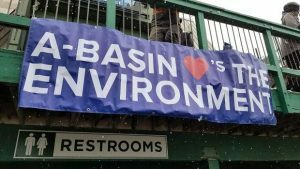 See more photos from the event on SummitDaily.com.